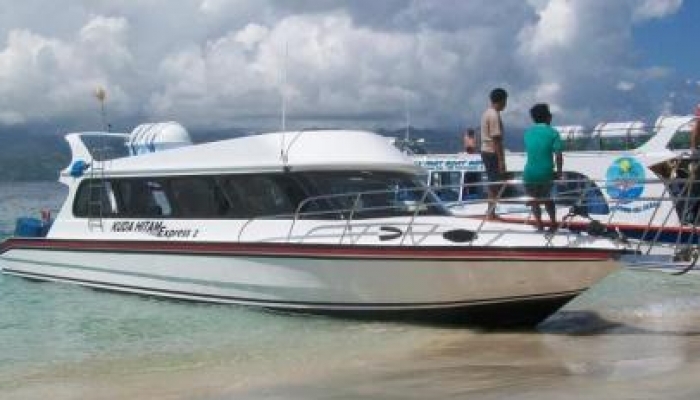 The Fast Boat Bali to Gili Meno are most depart from Padang Bai and there is one depart from Sanur. 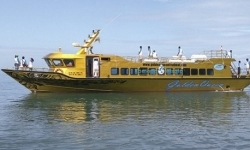 Getting on Gili fast boat from Bali to Gili Meno will be a perfect way to reach the Island and a much convenience way. 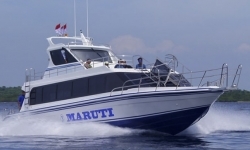 The fast boat Bali to Gili Meno tickets can be easily find online through this website. There are fast boat bali to Gili Meno which is offer a daily departure from Padang Bai, most they offer the morning trip and seasonal shedule for the afternoon schedule. The trip duration from Padang Bai to Gili Meno is about 1 and 45 minutes, depend on the sea conditioon at the time. It can be more or less. They are most depart in the morning at 09.00 AM. Here the following are some boat operators which depart from Padang Bail to Gili Meno; Eka Jaya Fast Boat, Mahi Mahi Fast Boat, Wahana Gili Ocean. Another way to reach Gili Meno from Bali is getting on the fast boat from Sanur. Sanur is the closes harbor to the South East Bali like Kuta,Jimbaran,seminyak,Sanur. The harbor is just 25 to 30 minutes drive from Kuta or Legian. 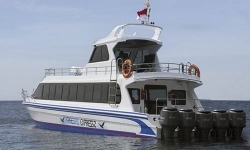 Scoot Fast Cruises offers a daily departure from Sanur to Gili Meno, the approximately traveling time from Sanur is 2 ½ to 3 hours, depending on the sea condition. The Boat will make some stop before Gili Meno, first stop is in Nusa Lembongan, Senggigi and then it goes to Gili Meno. The the fast boat Bali to Gili Meno via Sanur is depart at 09.30 AM. Another way to get to Gili Meno is getting on the fast boat from Benoa with Patagonia Express and then get off on Gili Trawangan or Gili Air, after that take a local boat in the afternoon. The Local Boat price are listed at Koperasi Karya Bahari or ticketing office in Gili Trawangan or Gili Air. You can do charter or regular schedule two times a day, in the morning at 10.30 AM from Gili Trawangan or in the afternoon at 03.30 PM. If you are in Gili Air there is available in the morning at 08.00 AM and in the afternoon at 02.00 PM. 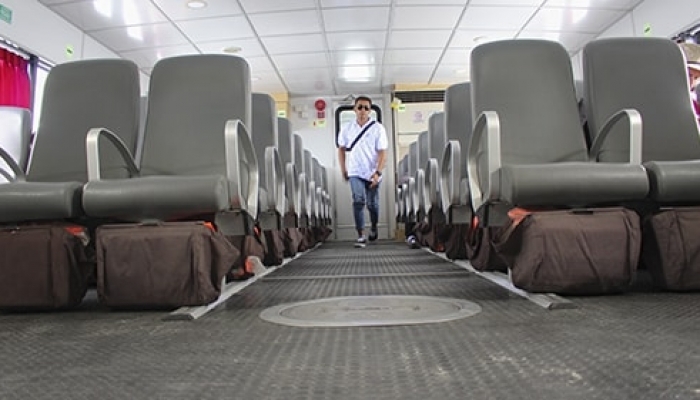 This is the only way getting to Gili Meno if you are on the Patagonia Express from Bali. Kuda Hitam Express is the only fast boat running from Amed to Gili Meno, the boat depart daily from Jemeluk Beach and make their first stop in Gili Trawangan and then Gili Meno. 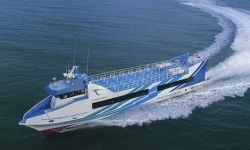 The boat travel time from Amed to Gili Meno is about 1 hour, depending on the sea condition at the time of traveling. 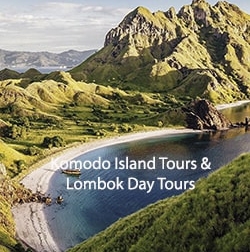 To Book fast boat Bali to Gili Meno via Amed, you8 can go to search box, search destination Amed to Gili Meno and then choose the date departure or you may see how to book fast boat for details.